Up to now, only " NURO Hikari 10 G " was offering 10 Gbps optical fiber service, but since March 2018 " au HIKARI 10 Giga " began to be offered, it becomes easier for families to introduce 10 Gbps Internet I am coming. 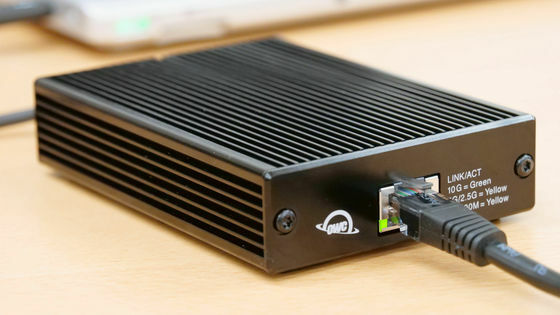 However, even if a high-speed network is constructed, it is meaningless unless the PC is compatible. " 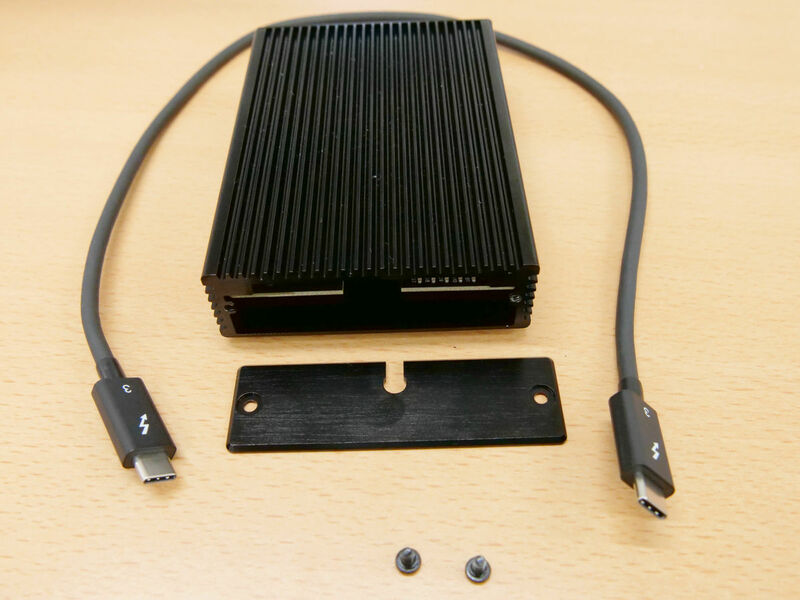 Thunderbolt 3 10G Ethernet Adapter " which can make PC compatible with 10 GBASE-T with Thunderbolt 3 of USB Type-C connector from OWC known as a manufacturer of storage and network adapters appeared on November 1, 2018, so actually I connected to the PC and checked the speed. The Thunderbolt 3 10 G Ethernet Adapter's outer box looks like this. 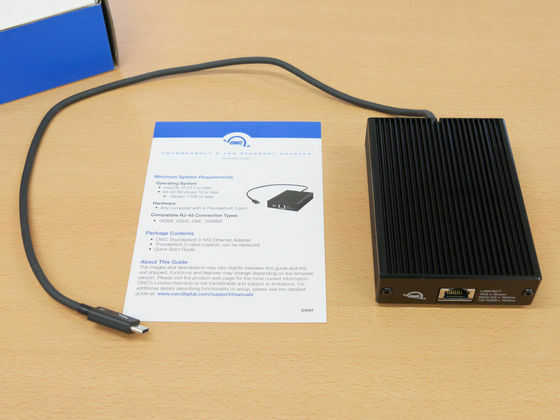 Only one adapter body and start guide were in the box. 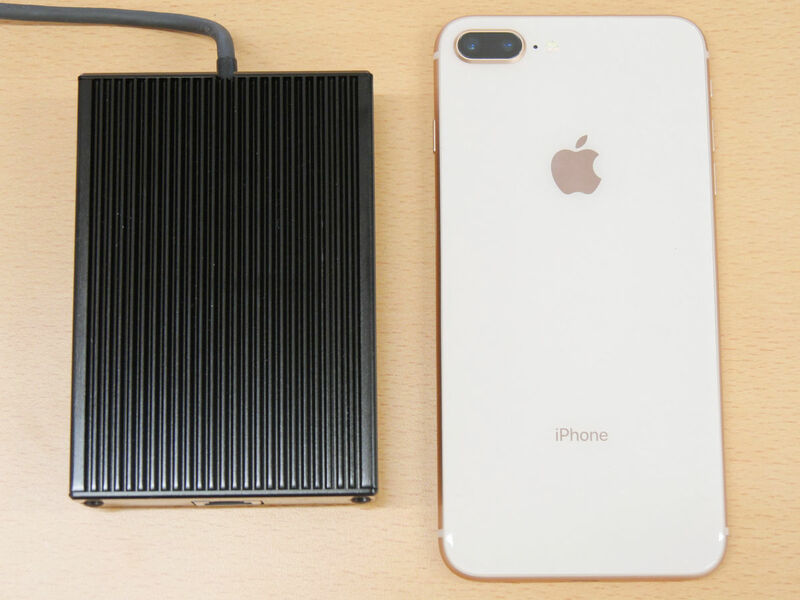 The adapter body is smaller than the iPhone 8 Plus with a vertical length of about 16 cm. 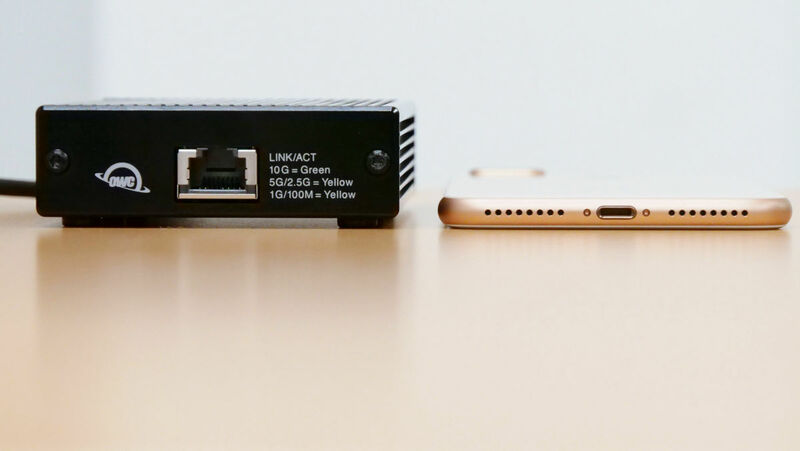 It is like this when comparing the thickness. There is a Thunderbolt 3 connector at the end of a cable of about 50 cm which extends from the opposite side. 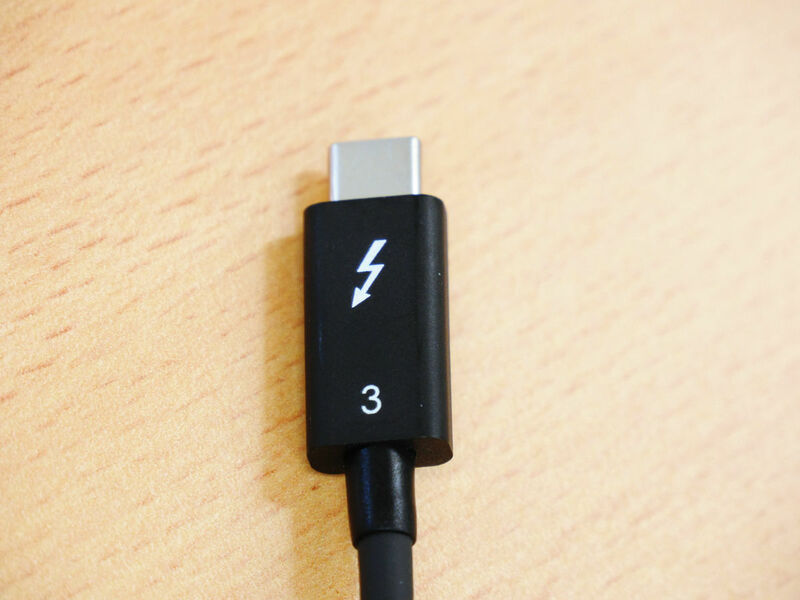 The USB port to which the connector is connected must correspond to Thunderbolt 3. The opposite connector of the cable was connected to the board inside. 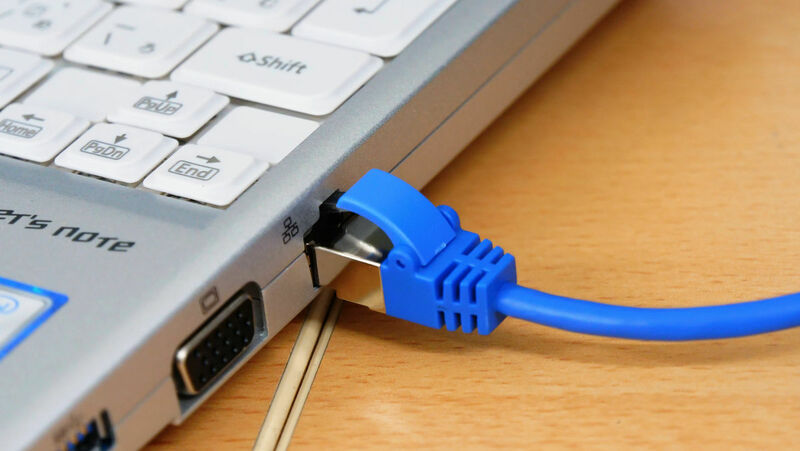 A slightly shorter cable is easy to handle, but if you feel that the cable is too short after purchase it is easily replaceable. 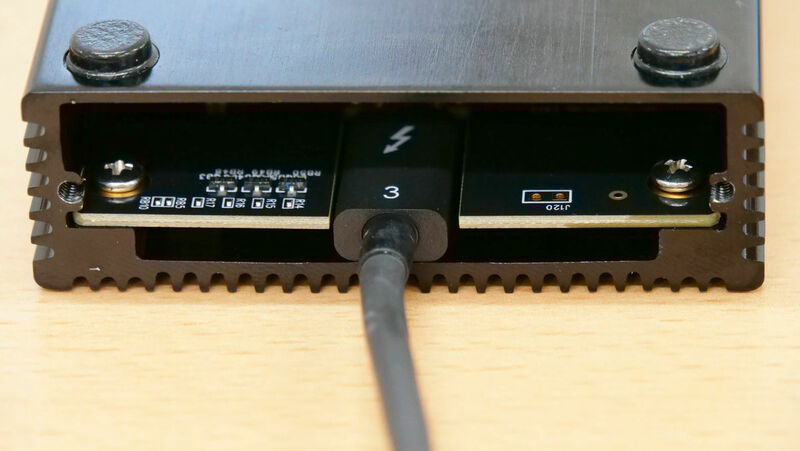 Insert the connector into the Thunderbolt 3 compatible USB port. 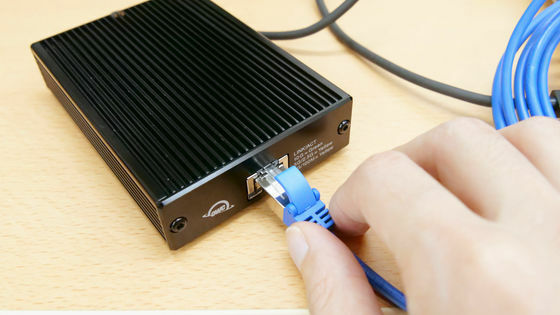 Since the adapter is a USB bus power, there is no power cable etc, so connection between the main unit and the PC is OK with this. 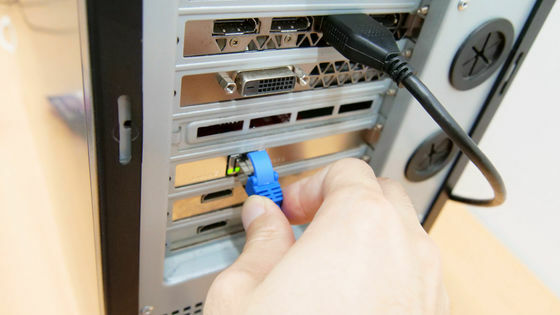 When the LAN cable is inserted, the lamp at the insertion port lights up in green. 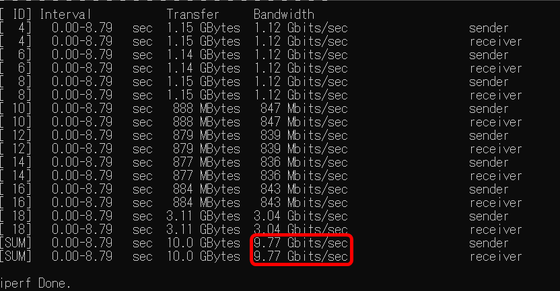 ◆ I tried to test whether 10 Gbps can be output <br> Next, I will test whether it can really produce 10 Gbps. 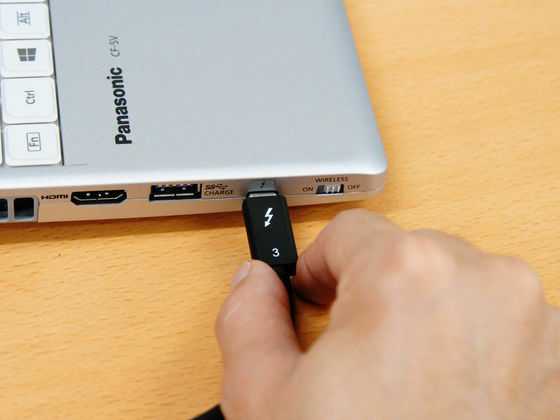 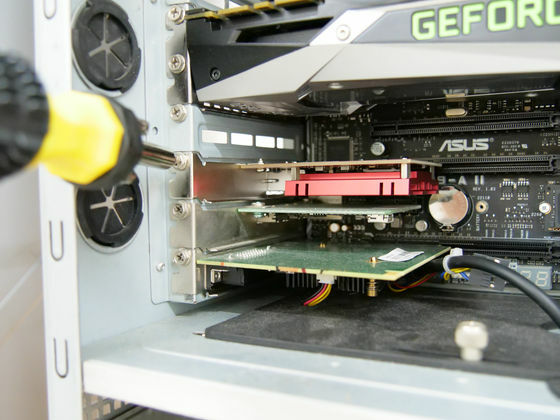 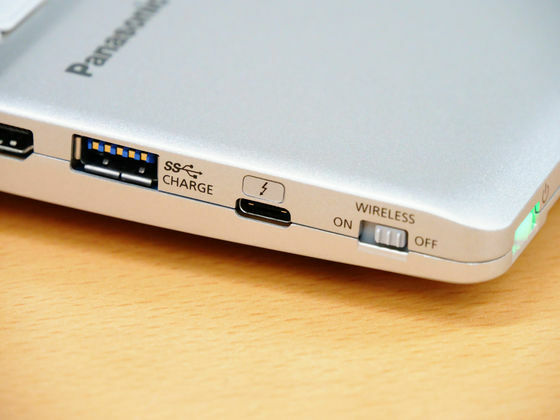 In addition to the Thunderbolt 3 10 G Ethernet Adapter, the notebook PC compatible with Thunderbolt 3, the LAN cable, and the other desktop PC are used for testing. We installed a network card compatible with 10 Gbps in advance on the desktop PC. 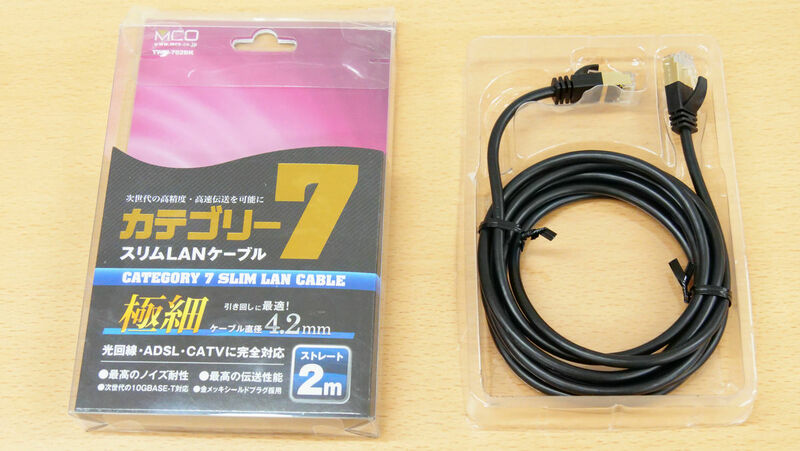 We prepared three types of LAN cables conforming to Category 7 so that the speed does not come out under the influence of the LAN cable. 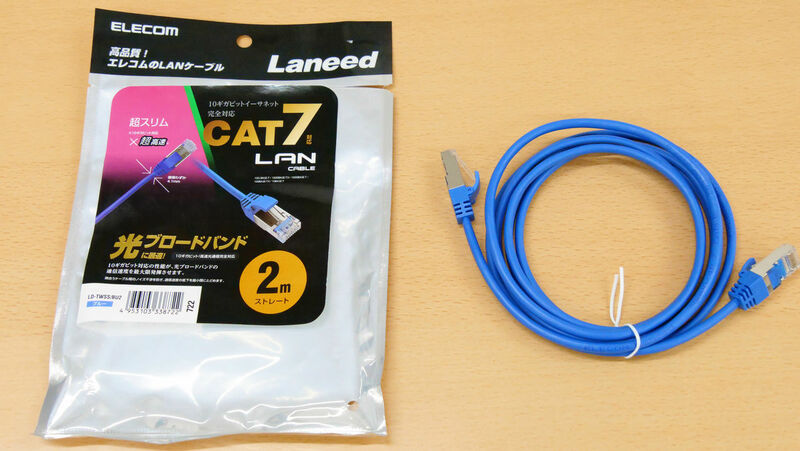 At first, it is " Elecom LAN cable 2 m nail fold prevention connector slim CAT 7 blue LD-TWSS / BU 2 ". First, insert the LAN cable into the Thunderbolt 3 10G Ethernet Adapter connected to the notebook PC. Connect the cable to the desktop PC. 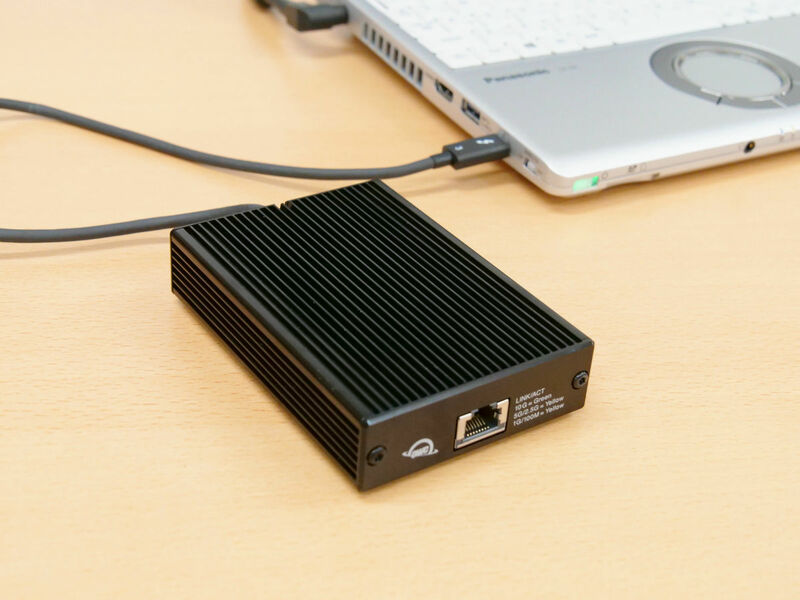 This means that the notebook PC and the desktop PC are directly connected via the Thunderbolt 3 10 G Ethernet Adapter. 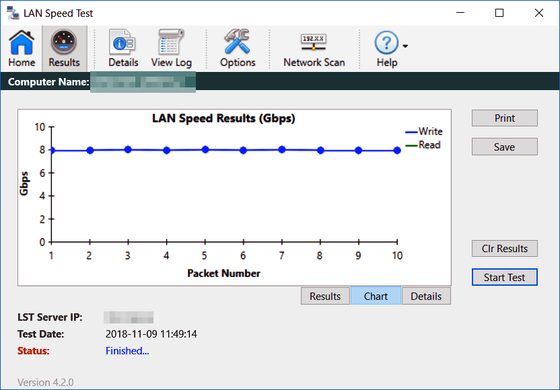 I use " LAN Speed ​​Test " for speed measurement. 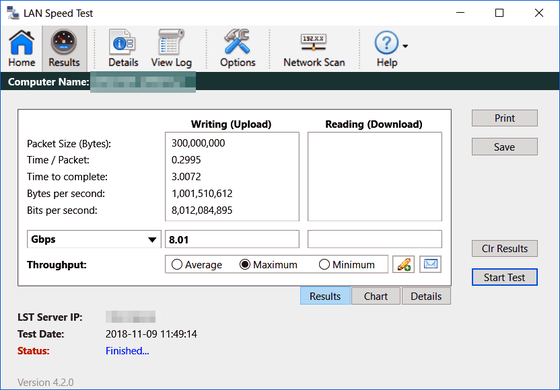 The maximum result was 8.01 Gbps. As you can see from the chart, we have maintained the explosion speed stably in 10 tests. 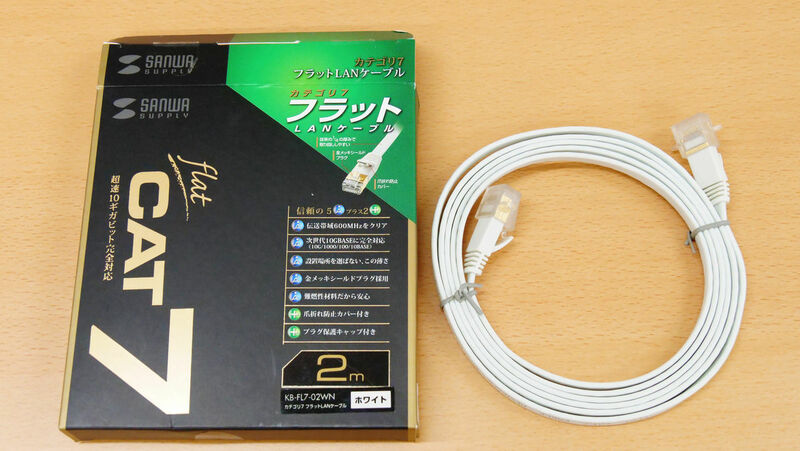 Next, try " Sanwa Supply Category 7 Flat LAN Cable 2 m White KB - FL 7 - 02 WN ". 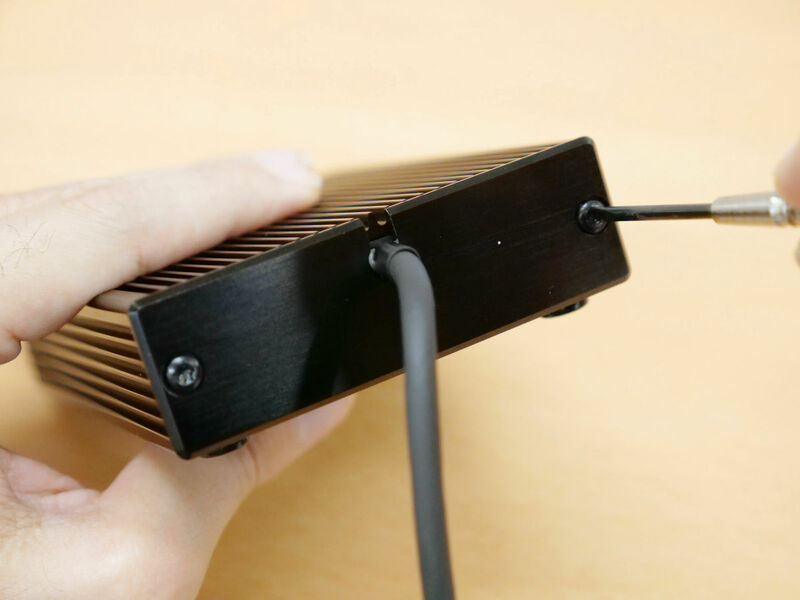 I can communicate at high speed as well. Lastly use " Miyoshi miyoshi TWM - 702BK [Category 7 slim LAN cable 2 m black] ". The result was almost the same as the previous two kinds. For comparison, I tried connecting with a LAN port not compatible with Thunderbolt 3. It did not exceed 1 Gbps. 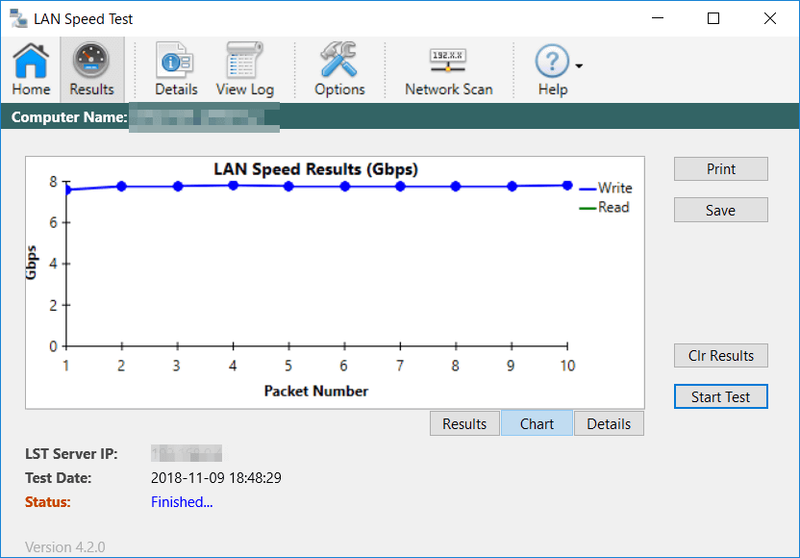 In addition, since it is impeccable , I tried to test the 10 Gbps limit, using the software called " Iperf ", I tried finely conditioned and tested more efficient communication. I got a result close to the theoretical value, with a bandwidth of 9.77 Gbps. 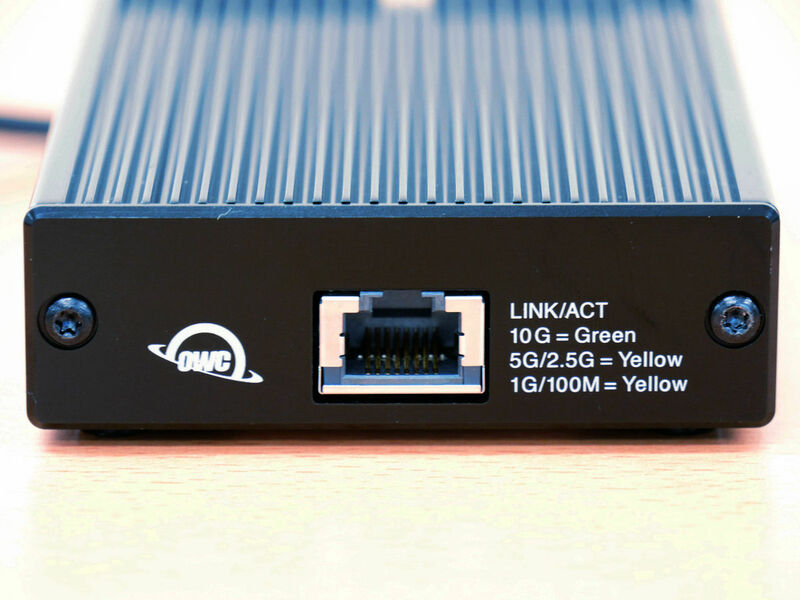 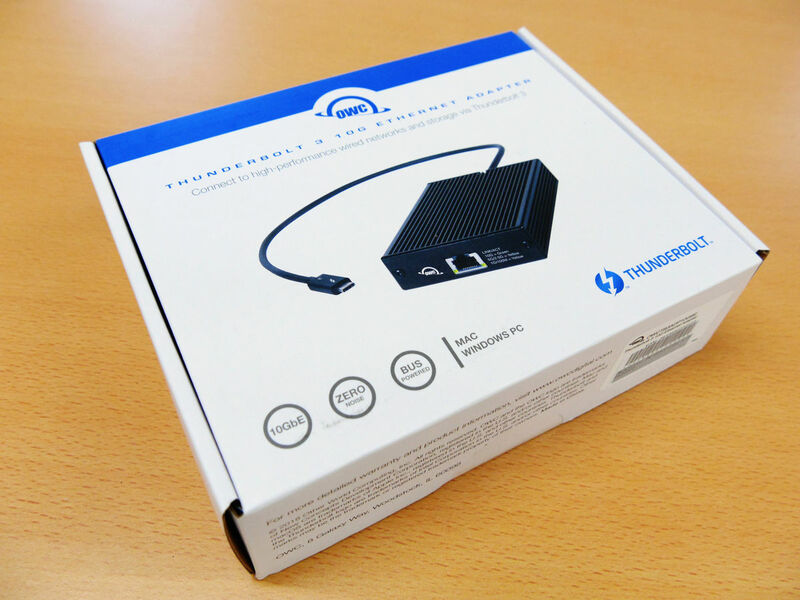 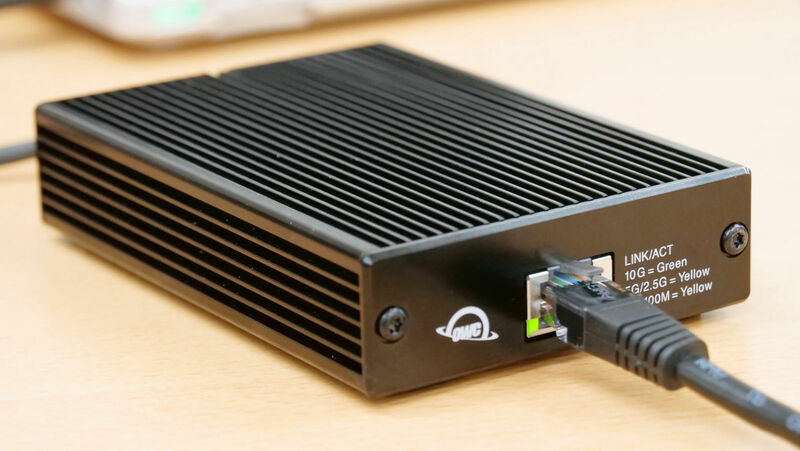 Those who are seeking explosive communication on laptop computers should be able to satisfy the demands by using "OWC Thunderbolt 3 10 G Ethernet Adapter" after preparing a port compatible with Thunderbolt 3. 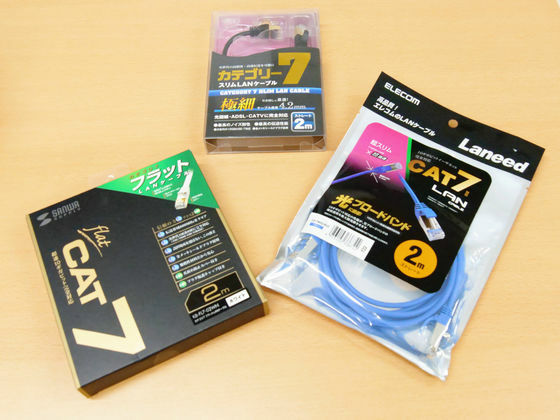 Which CAT7 cable is the most flexible and easy to handle? Extremely fast communication in low rate: "UQ WiMAX" starts their service. What is understood for the first time after visualizing regulars actor Wes Anderson's movie by network analysis?